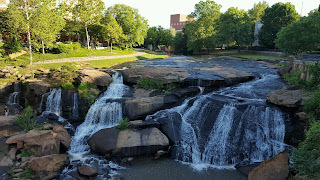 I visited Greenville, SC this past week for a few days, the purpose of which was to attend an MPN Research Foundation Dinner and learn more about my Polycythemia Vera symptom treatments and research progression, but I found Greenville to be a wonderful mini-vacation town. 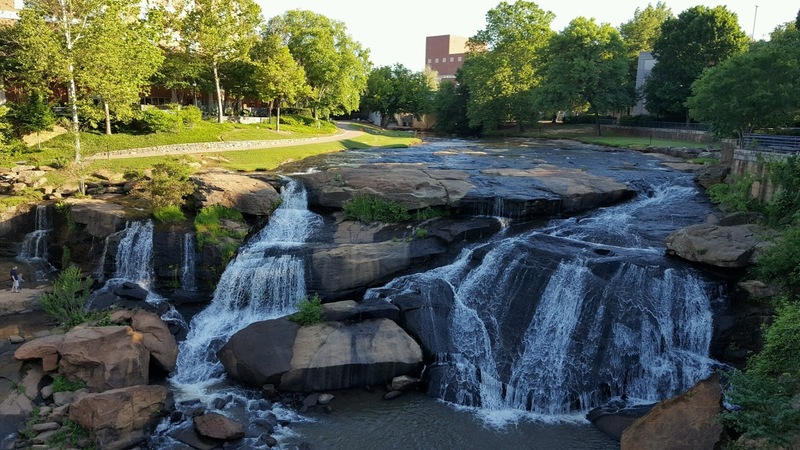 I encourage you to visit the town for a few days, especially the Falls Park at Reedy Creek and the Main Street strip (just don't eat at the Japanese Hibachi place) (and DO stop in at Jerky & Vine to get some grass-fed, nitrate free flavored jerky). That's the limit of travel info. in this post. First, if you are newly diagnosed with an MPN (Myeloproliferative Neoplasm), a rare type of blood cancer that comes in four types: ET (Essential Thrombocythemia), PV, MF (Myelofibrosis) and CLL (Chronic Leukemia) and looking for information, check out the MPN Research Foundation site. It is an awesome launching pad for this disease. Incyte's Voices of MPN sponsored this FREE dinner -- and more across the states -- with Sandy Allen-Bard, MSN, NPc, ANCC, AOCNP from Cornell NYC giving the presentation in Q&A format. I wish I had taken some family members with me so they could learn about the disease. Several others in the group seemed to learn a lot and I'm sure we all appreciated being there. The "dinner" was just sandwiches and chips, so if you go, don't go hungry. 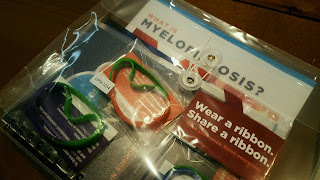 Look for an MPN event near you. This dinner gave me an opportunity to speak to an MPN expert face-to-face as well as other patients with the disease. It gave care-givers an opportunity to do the same as well as to talk to other care-givers. And? Of course we got swag. Primarily, at this dinner, I was seeking advice on questions I should be asking my doctor. This disease is so rare that most hem/onc doctors don't know much about it and have very little experience treating it. Upon diagnosis, I knew instantly I had to be my own advocate and really push my doctor and his staff. I had a second opinion at the Mayo Clinic in FL and a third opinion at Duke with a doctor that specializes in MPNs. I intend to return to Duke every three years to compare notes, learn more about ground breaking research and clinical trials -- things my doctor isn't aware of. Voices of MPN is another comprehensive informative site. I believe this site is owned by Incyte Corporation, a pharmaceutical company, so beware they have a financial interest. But it's still a great site. Voices of MPN is more people-oriented while the MPN Research Foundation is more disease oriented. Voices of MPN shares patient stories and fosters a sense of community and support groups. I'm curious what the others thought about the dinner. For me, it was very basic. If I had paid money for it, beyond the travel cost, I'd have been dismayed. I thought it would go deeper. However, if I had taken family members who know nothing about this disorder, I'd have been very, very happy with it. I would love to see more of these events with two or more different "classes" for different levels of patients. Voices of MPN encourages patients to share their stories and connect and at this dinner, we definitely did that. Prior to this dinner, I had never talked with anyone else who has this disorder. I am very grateful for that. The information on this blog is not a substitute for a visit or a consultation with a healthcare provider. Yay! My doctor swears nutrition and diet have no effect - I know that can't be totally true.